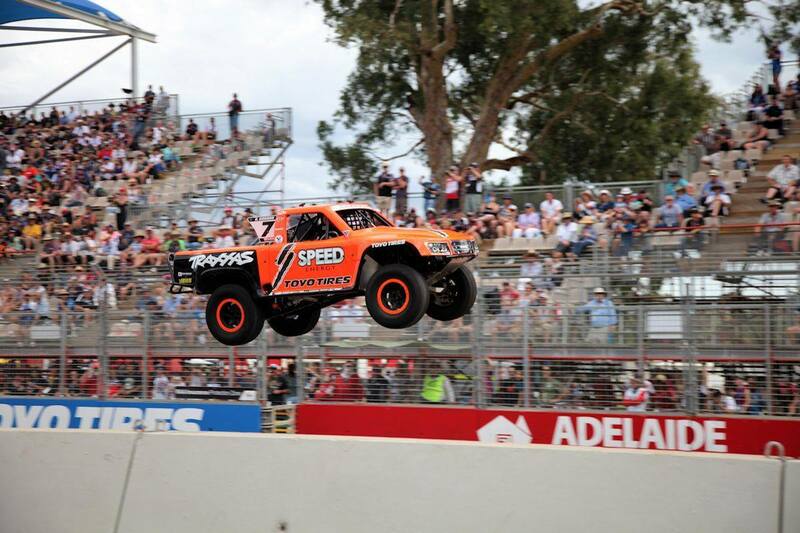 ADELAIDE, South Australia (February 28, 2015) – Sheldon Creed captured Saturday’s thrilling second round of the SPEED Energy Formula Off-Road Presented by Traxxas Stadium Super Trucks (SST) at the Clipsal 500 in Adelaide, South Australia, beating Robby Gordon to the line by a truck length. 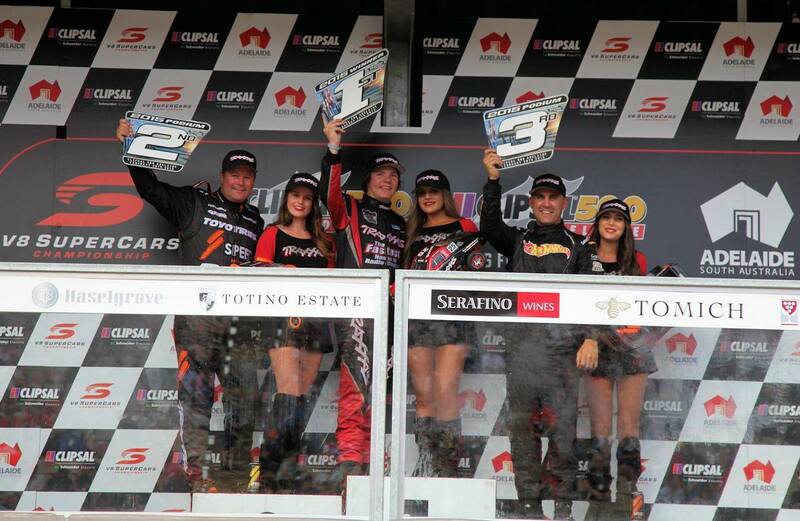 Australian driver Matt Mingay of Gold Coast, Queensland finished third, making it the second-consecutive podium finish for the SST newcomer after coming home second in Friday’s first race. Creed, a young off-road hot shoe from Alpine, Calif., started sixth and drove a calculated yet aggressive race to hold off Gordon and a full field of strong trucks. Following Saturday’s second race of the season, Creed considered Saturday’s victory redemption for a costly mistake on Friday where he collected Traxxas teammate Keegan Kincaid in an accident at the finish. More than 80,000 spectators lined the 14-turn 2.012 (3.219 km) street circuit to watch Creed and the Traxxas-branded trucks launch off of man-made ramps on the same DOT-approved Toyo Tires that consumers can buy. The loud raucous cheers of disbelief from the massive Australian crowd could be heard over the trucks as fans of traditional V8 Supercar racing saw the trucks literally fly through the air side by side. 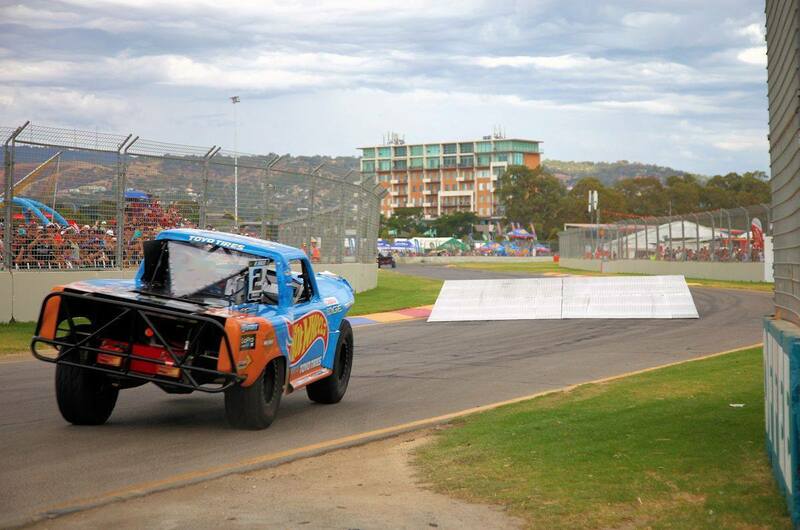 Round 3 of the SPEED Energy Formula Off-Road Presented by Traxxas Stadium Super Trucks will take place Sunday prior to the V8 Supercar finale of the Clipsal 500 in Victoria Park in front of another anticipated record crowd. 9. Keegan Kincaid. Crandon, Wisc. Traxxas.